Looking for an adventure to explore places but no vehicle with you? Planning a trip and unable to rent out a bike for your trip to Ladakh? Renting out a two wheeler seems so farfetched and doesn’t fit in your budget? Well you are in luck my friend, because WHEELSTREET is here for you. Wheelstreet is a bike rental platform based on an aggregator model which connects the user with multiple vendors. This is done via an online platform where a potential customer can view all the bikes available on rent along with their tariffs, pickup locations, and online payment options. Wheelstreet strives to form the bridge between bike rental vendors and customers with complete transparency and ease of use. Wheelstreet offers bikes on rent for hourly, weekly and monthly basis. All types of bikes are available for a rental which starts from non-gear bike Active and goes up to Harley, Ninja and Hayabusa. They offer variable rental durations, unlimited kilometres, complimentary helmets and lowest-in-the-market rates to you. All you have to do is set up an account with WheelStreet and then start browsing. Just input your start and end time, confirm, and you will be shown a series of bikes you can rent from. Two incidents happened simultaneously with the founders Pranay and Moksha. While Pranay was studying in the college, he used to take money from his friends as they used to take his bike whenever they wanted and he usually end up travelling by auto at the end. Moksha struggled to have a good experience and enjoy the process of renting a two-wheeler and riding it. Time and again she was disappointed with the service and the hassle that comes with renting a bike. Overcharging, lack of quality control, unethical deductions and unavailability of the bike needed were considered normal in an industry which was so completely disorganized. This suddenly got Pranay thinking, if the retention rate is so high, then what could be the potential in this market? A meeting with two of his best friends and the usual ranting about life soon had us brainstorming about the gap we wanted to fill in the market. Soon we had a sense of direction, we knew we were out to organize this sector and focus on providing customers with an experience that was not just hassle free, but managed to delight people. 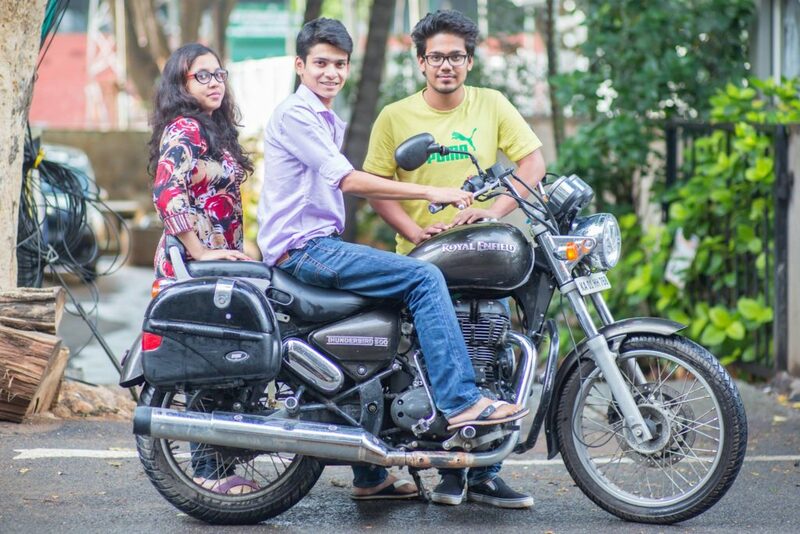 Pranay Srivastava is an engineering graduate who is the CEO of WheelStreet. He has been associated with Grabhouse since inception and was one of the core team members, before starting WheelStreet. Moksha Srivastava is the CMO of the WheelStreet and is a Mass Communication and journalism graduate. She post graduated from Indian Institute of Mass Communication and pursued digital marketing course from IIM-B. Mritunjay Kumar is a fresh engineering graduate and is the COO of WheelStreet. He is currently handling WheelStreet operations in Delhi/NCR and Bangalore. WheelStreet has around 130+ bookings per day and 1.5 Lakh per month visitors on website. They had around 10000+ app downloads in a span of 10 days and 46 pickup locations estimated. Wheelstreet got their first customer as they had posted their advertisement on the classifieds website such as quikr, olx etc. And from the classifieds, a customer approached them and rented out an Honda Activa and was very much satisfied and pleased with the service offered. The Company plans to expand its operations in Hyderabad and Pune by this month and they are also planning to expand to Chennai. Biggest challenge faced as an entrepreneur while establishing the startup by Pranay was in terms of business, as there were very less as the vendors were actually waiting for someone like Wheelstreet to help them increase their business. In terms of building the company, getting the right employees was difficult. Since it’s a tech+ops business we really needed people who excelled in their respective fields. We cannot compromise with the tech platforms in this business as it is directly involved with the vendors and the customers. The company had closed 2 rounds of funding (first one amounting $ 416k) and recently closed another round of funding(undisclosed amount). As the company is aggregators, they see all bike rental companies as their potential vendors but they do appreciate few companies like Wickedride, Royal brother’s Rentongo and see their competitors. Pranay and the team are planning to come up with mobile apps for vendors to help them manage their inventory and accounting, which they are currently doing using the back-end technology that they have provided them with.